To those who enjoy science fiction, An Inconvenient Truth is one of those movies that makes one imagine an alternate reality. As George W. Bush’s approval ratings plummet and the corruptions of his administration are further exposed, coinciding with rising gas prices and the frightening implications about wiretapping our phones, not to mention the chilling ramifications of our being involved in a made-up war where the body count rises on a daily basis, it seems the right time for a documentary about the man who “used to be the next President of the United States” giving a multimedia presentation and lecture about global warming. A movie about a guy giving this kind of slide show might sound boring, or pandering to the left (or to rabid tree-huggers), or even as an advertisement for Al Gore running for president in 2008, but An Inconvenient Truth is a must-see for two key reasons: it addresses the science and politics of a worldwide problem in clear, accessible language, presenting a miscellany of reasons why the human race needs to prioritize the issue; and Al Gore presents his case in an intelligent, dynamic, and often humorous way, really diving into a subject matter he feels passionate about. Voters who perceived Gore as a stiff, bland politician hen-pecked by the issues and unable to connect to his audience may be pleased by this makeover. 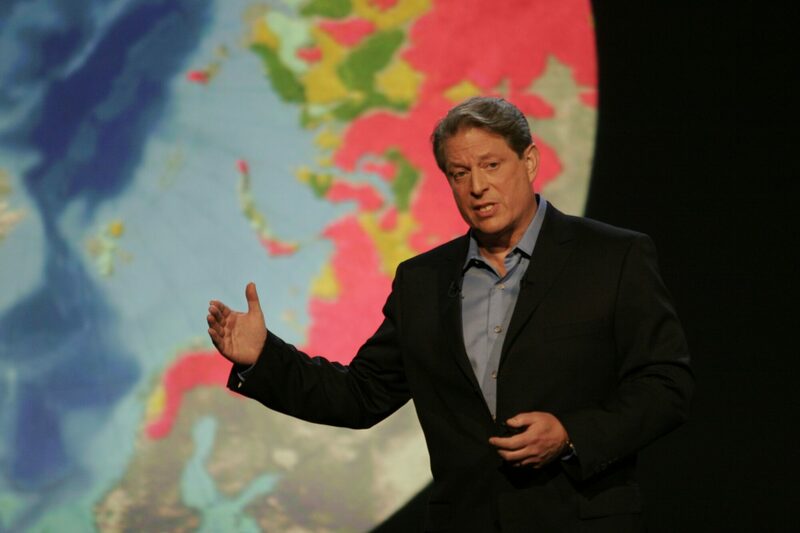 Using a variety of charts, graphics, photographs, and cartoons (one by The Simpsons creator Matt Groening), Gore walks the viewers through the way global warming works, step by step. He accomplishes what a good politician ought to do: he conveys his message in a way that gets across the ramifications of a crisis, and what we can do about it. 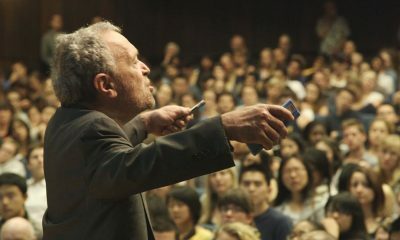 His compelling lecture got me thinking about the best high school teachers I ever had—the ones who genuinely gave a damn about their subject and wanted to share the spark of their enthusiasm. Unlike some politicians whose message is conveyed in nugget-sized sound bites, Gore is able to hold the attention of his spectators for a full 90 minutes and come off as a guy who would be more than competent at running our country. Interspersed with his lecture are images of Gore traveling the globe meeting with scientists and political figures, and you can imagine an alternate reality where America’s foreign policy wasn’t a joke at best and criminal at worst. And while Gore can’t resist tugging at the heartstrings (delving into his sister’s death from lung cancer and his son’s auto accident), they serve the purpose of showing how Gore’s worldview was shaped. Credit must be given to filmmaker Davis Guggenheim, who has helmed several of the best episodes of HBO’s series Deadwood and whose prudent editing keeps Gore’s lecture moving right along, knowing when to push in for a close-up to highlight a key piece of Gore’s argument and knowing when to hold a wide shot to convey the disturbing sight of the Glacier National Park now nearly bereft of glaciers, or comparative “then and now” photographs of Mt. Kilimanjaro offering incontrovertible evidence that the snows are melting. 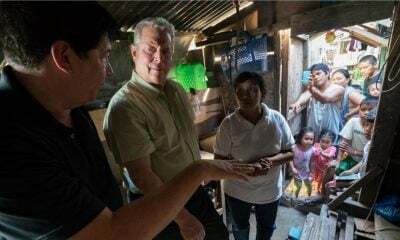 To those who enjoy science fiction, An Inconvenient Truth is one of those movies that makes one imagine an alternate reality—one where Al Gore was the 43rd President of the United States. He comes off on-screen as an earnest statesman able to seriously weigh the moral complexities of an issue. Unlike his 2000 run for office, he seems more comfortable sticking his neck out, and gives a vibe of confidence and competence that’s sorely lacking in our leadership at the moment. As Gore says, we have all the solutions we need for global warning. “The only thing missing is political will—but that is a renewable resource.” If there’s anything our country loves, it’s a comeback kid—maybe Al Gore is that guy.